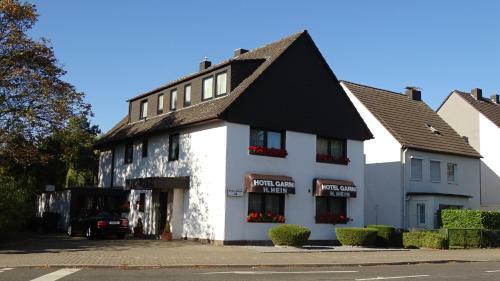 This hotel is a 2-minute drive from Düsseldorf Exhibition Centre and 4 minutes from Düsseldorf Airport. Bed & Breakfast Hotel Helga Hein offers free WiFi, free parking and a relaxing garden terrace. The bright rooms at Bed & Breakfast Hotel Helga Hein feature classic décor and wooden furniture. All include cable TV, a minibar and a private bathroom with shower. A rich breakfast is served at your table each morning in the rustic-style breakfast room. The hotel is a 1-minute drive from the A44 motorway, and a 6-minute walk from Lohausen Underground Station. It is 1.5 km from the Esprit Arena and the Nordpark. From the underground station, you can reach the old town in 15 minutes. For late arrivals, guests are kindly asked to contact the property in advance. The property will provide a code for the key safe outside the main entrance door. Please inform Bed & Breakfast Hotel Helga Hein in advance of your expected arrival time. You can use the Special Requests box when booking, or contact the property directly with the contact details provided in your confirmation.